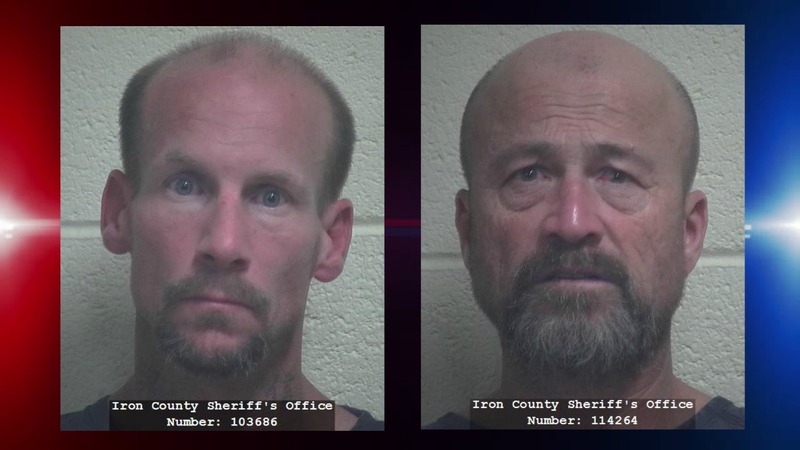 ST. GEORGE — Police say two men arrested in Cedar City were involved in several burglaries and thefts, which included one stolen vehicle and two firearms that were recovered through an extensive investigation and multiple searches that took place over the course of several days. Eric Lanham, 38, of Cedar City, was arrested and booked into Iron County Jail Friday on four felony offenses, including two second-degree felony counts of vehicle/firearm theft, one third-degree felony count of vehicle/firearm theft and one count of possession of a firearm by a restricted person. Lanham was also booked on 14 misdemeanor offenses, including four class A misdemeanor offenses that include three counts of vehicle burglary and one count of possession of marijuana, as well as 10 class B misdemeanor offenses, including four counts of theft, three counts of criminal mischief, one count of possession of burglary tools and one count of possession of paraphernalia. The second suspect, 56-year-old David Anthony Coche, of Cedar City, was booked into Iron County Jail Saturday night on one second-degree felony count of vehicle/firearm theft and two third-degree felony offenses of theft and drug distribution. He was also charged with one class A misdemeanor count of criminal mischief and two class B misdemeanors, including theft and possession of burglary tools. The arrest of the two suspects came in the wake of a large-scale investigation that began Tuesday when officers received reports of stolen items that were taken during a number of vehicle and business burglaries. The stolen items were then allegedly stored in various locations, including items reportedly hidden in a field. Several of the items were later found by investigators, Cedar City Police Sgt. Clint Pollock told Cedar City News Sunday. As the investigation proceeded, detectives learned that a vehicle was also stolen during one of the incidents, along with at least two firearms and other property allegedly taken during business burglaries in the Fiddler Canyon area. The two suspects seen in surveillance footage viewed by police matched Lanham and Coche, Pollock said. Officers also learned of additional locations where stolen property was allegedly being stored. After serving multiple search warrants, police retrieved a number of items stolen in both the vehicle and business burglaries. Pollock said Lanham was located by police Friday and was driving the same vehicle that was reportedly stolen. He was stopped by officers who said they found other property allegedly stolen in the burglaries. Coche was arrested Saturday evening after police served a search warrant upon his residence and found a number of stolen items that were taken during a series of criminal incidents that both men were allegedly involved in, Pollock said. With the arrests, Pollock cautioned residents to make sure their property is properly secured and to lock their vehicles. Police are still looking for a number of stolen items, but the investigation into finding those allegedly responsible is closed with the second arrest. “We’ve got both suspects in custody with charges that are respective of their crimes,” Pollock said. Police are still seeking information on the property taken during the incidents. 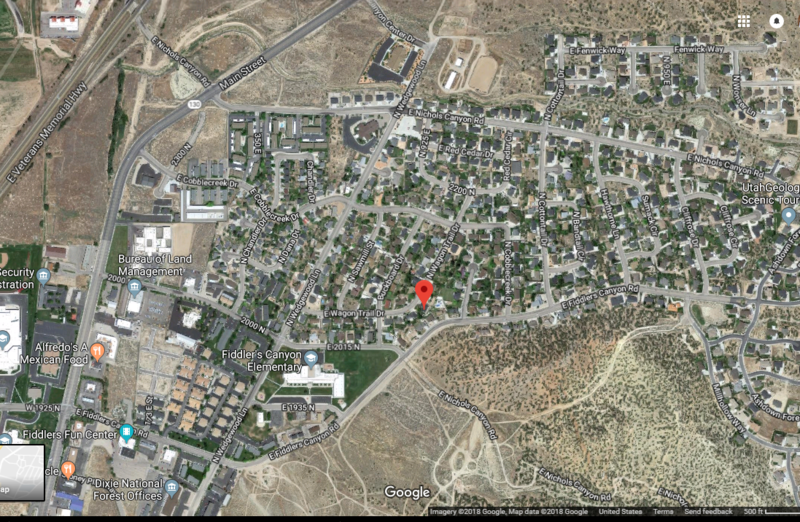 Anyone who may have seen suspicious activity over the course of the last week in the Fiddlers Canyon area or near Industrial Road or who may have information on this or other crimes is asked to call the Cedar City Police Department at 435-586-2955. Mutt and Jeff, is that you? Good bust!